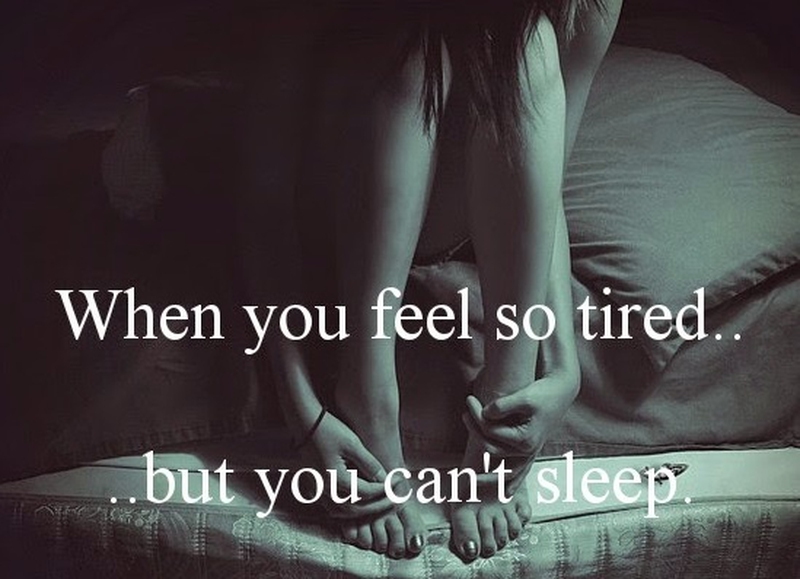 Why Am I Tired but Can't Sleep? Tired but Can't Sleep, What to Do? There are a lot of things that may keep people from sleeping. It could be issues related to family, work or even leisure. Due to these circumstances, people usually encounter sleep debt that is accumulated once it is lost. At the same time, some people experience some inconsistencies. They carry over a large sleep debt but when the chance to sleep comes, they find it difficult to do so. They usually are tired but can’t sleep. They can lay in bed for hours without falling asleep on several occasions. Regular bedtimes help your circadian system to work well. Make sure that you go to bed almost the same time without fail. It should be done early enough to get enough amount of sleep time. This consistency must be maintained for the best results. Your body’s circadian system functions just like a 24-hr clock as it regulates body temperature process and those of the heart rate. This system produces melatonin that is usually used by your body to internally enhance the sleeping process. Having a consistent bedtime ensures that the process of sleeping is not disrupted. You cannot relax while watching television from your bed during sleep time. Stop playing games on your phone or checking mails while in bed as it would interfere with your sleep patterns. This will help you a lot on physiological terms. The exposure of light linked with these night activities prevents the production of melatonin. This is very evident for any kind of light particularly the blue wavelength light mostly found in these gadgets and particularly when the light source is close to you. Your sleeping process will never be affected if you don’t use them during that time. Strengthen the connection between sleep and bed as much as possible by avoiding other non-sleep activities. Take the case of Pavlov’s dogs and apply it – he paired a meat powder stimulus with a bell stimulus in a repeated scenario. The relationship created became very strong to a point where the dogs could automatically salivate when they heard a ring of the bell even without the meat powder. Pairing your sleep with the bed in the absence of other activities makes your body adapt to such an association. The body will adapt to sleep even when you did not feel like sleeping. Don’t take any substance that has some stimulating characteristics, especially before you go to sleep. Avoid caffeine and nicotine substances because they will make it hard for you to fall asleep. Coffee has a particular metabolic half-life for a number of hours – about five. Therefore, don’t take coffee five hours to sleep time. Stimulants such as caffeine and nicotine cause physiological arousal and sympathetic activation of the nervous system that oppose your chance of getting sleep. The relaxation effects caused by these stimulants leads to a physiological arousal that keeps the body awake hence preventing sleep. While exercises have great health benefits, they should not be done a few hours before bed. Plan to end them early enough so that you can regulate your sleeping patterns. Reduce the time and amount of exercise to be done if you have to do them at such a time. Exercise arouses the body physiologically hence making it a challenge to sleep during the night. Exercises will certainly delay your start of falling asleep hence making you lose some sleeping hours. If you are feeling so tired but can't sleep, establish a good sleeping position. Most of the time, we do not realize that we sleep in a position that may even interfer with our sleep. Your back should be straight and your neck in a neither too high nor too low position. For a very firm or soft bed, cover it using foam or consider sleeping using a body pillow to make the bed comfortable. Chamomile tea is regarded as an insomnia buster. It has been useful in reducing anxiety symptoms. Herbal teas such as ginger, raspberry ginger and lemon could also work on well. You can also use melatonin supplements about an hour before going to bed.